At the Puliima National Indigenous Language & Technology Forum, a panel was convened to discuss “Protecting rights and promoting access to Indigenous language materials.” The panelists were Cathy Bow from the Living Archive of Aboriginal Languages at Charles Darwin University, Karen Manton from the Centre of Australian Languages and Linguistics at Batchelor Institute of Indigenous Tertiary Education, Des Crump, the Indigenous Languages Coordinator at the State Library of Queensland, and Sandra Morrison from the Warumungu community around Tennant Creek area. Cathy opened the discussion with some background about how digital technology has led to a huge increase in the creation and publication of Indigenous language materials, and while this gives rise to many opportunities, it also creates new challenges. Indigenous and non-Indigenous perspectives on intellectual property differ in some aspects, for example the focus in Western copyright law on the protection of individual rights, while Indigenous tradition favours community and corporate ownership of knowledge and stories. In addition, there is a lack of legal recognition to the rights of Indigenous people to owning the intellectual property contained in some materials for which copyright may belong elsewhere. Cathy spoke of the experience of the Living Archive, where the majority of the material has been sourced from NT government schools which had bilingual education programs, and as such the copyright belongs to the NT government. However, the license given by the government to digitise and publish the materials online does not require any input from the Indigenous owners of the stories (including authors, illustrators, etc). While their moral rights are protected by copyright law, the project team wanted to ensure that people were happy with their material being made available on an open access website, so have been attempting to find all the contributors named in the books (or families of those who have passed away) and asking them to sign a permission form. With regard to access issues, materials are available on the Living Archive site under a Creative Commons Attribution Non-commercial No Derivs 3.0 License Australia, which allows users to share the material, as long as they attribute the source, don’t use it for any commercial purposes, and don’t share any derivative materials. This last point is somewhat problematic, in balancing the desire to promote access and engagement with the stories in the archive, while also protecting them from misuse. For example, the LAAL Digital Story Competition invites people to engage with the materials in the archive, and stipulates that any derivatives must be approved by the story owners and communities. A particular challenge in this collection relates to materials that do not name the people involved in the creation of the work. This means it’s not known who can give permission. In some cases, people in the community know who was involved, so the team is trying to collect some of that information. Also, for materials that were not produced in NT government schools, it is necessary to seek a license from the copyright holders, which may be another institution (such as the Catholic Education Office or AuSIL for example). These processes can be time-consuming, but the team thinks they are important in showing respect for both the Western and Indigenous practices of intellectual property. Karen spoke about Batchelor Institute’s CALL Collection, an archive of Indigenous language materials. Over 40 years, students, staff, linguists, language workers and speakers who want to preserve language and resources for the future have contributed to the Collection. As such it is grounded in good will and relationships. Making items more accessible and growing digital language resources for people is a key focus for the future, and so plans for digitisation and a website are under way. Among the many issues about consent and access for the Collection, three arise across most activities and reflect the many different people and organisations who have connections with a work — Indigenous Cultural and Intellectual Property (ICIP), moral rights and copyright. ICIP is the broadest ground, encompassing many works and expressions of culture, including language, and communal, ongoing ownership and rights that aren’t protected by copyright or moral rights. ICIP and consultation with communities, creators, past students and contributors is the starting point for a permission strategy, because these are the people and the ground from which all the works in the Collection have come. Moral rights and copyright are considerations that follow on from and need to be addressed in addition to rather than in opposition with the wider scope of ICIP. For example the Collection’s partnership with LAAL works within exceptions in the Copyright Act, but ICIP and moral rights still have to be addressed, and people’s individual, family or community wishes and consent have to be sought and might redirect a decision or approach. With these considerations in mind, the CALL Collection is working with Terri Janke and Company to develop cultural protocols and copyright and end user licence agreements, as well as creator, ICIP and community agreements for the digitisation and website project. Above all the Collection is about those who have created it through their language and materials. During the digitisation and website project the Collection hopes to rekindle those relationships and interests of past and present students and language speakers (like Sandra Morrison on this panel) who have contributed and are keen to contribute to the Collection into the future, and be the guides about permission pathways and access. Following on from previous points on legal issues, Des focused on the personal aspects of digitising materials in collections. Drawing on State Library collection items, Des raised the notion of moral obligations to communities and families. One such example was the Archibald Meston Papers collected when Meston was the Chief Protector of Aborigines, Queensland. Meston collected language and cultural knowledge from Aboriginal people across Queensland – due to the imbalance of power, it would be difficult to ascertain whether this information was provided freely or under duress and the threat of being removed. While the Meston material may be out of copyright, the information is about real people; hence there is a moral obligation on the State Library to treat the materials respectfully. Another example was a State Library project that involved the creation of new knowledge from the Margaret Lawrie collection. The Retold project engaged community members to retell the stories collected by Lawrie and provide further information that accompanied the stories, e.g. songs, dance, string games. Towards the end of the project, a family who ‘owned’ a particular story exercised their custodial rights to not share the story with others at this stage. State Library was obliged to respect their wishes and not publicly share these stories until the family believes it is appropriate. The issue then for collecting institutions is to find that balance that involves digitising materials for access while respecting the intellectual property and moral rights of communities, families and individuals. 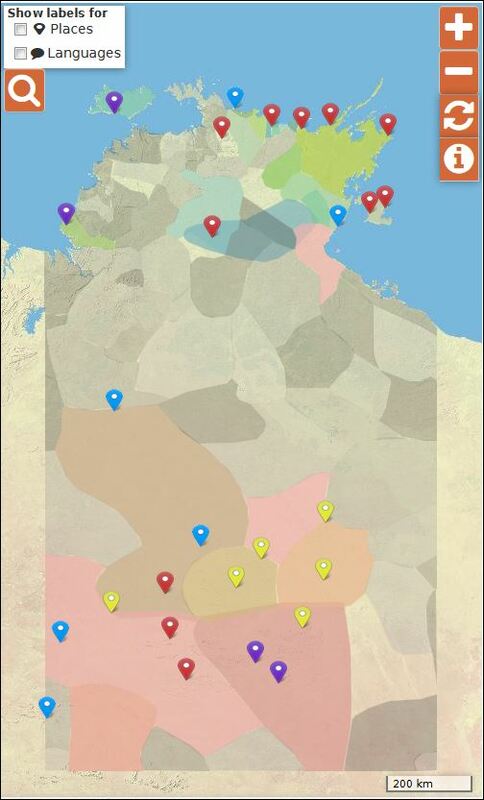 This is a sensitive area that requires further consideration which a Panel discussion can only touch on – the work of Terri Janke “Our Culture: Our Future – Report on Australian Indigenous Cultural and Intellectual Property Rights” is an excellent starting point. Sandra Morrison then spoke from the perspective of an Indigenous community which has recently regained access to a set of tapes recorded in the 1960s. She identified the key issues of seeking permission from the right people to transcribe and analyse these recordings. She highlighted the importance of getting community approval for a project such as this, where there are sensitivities about the knowledge and stories of deceased family members. Beyond a broad approval from community leaders, she pointed out the need to go back to the families of the speakers on the tapes and ask them about whether or not they wanted the tapes to be heard. This requires familiarity with family connections within a community to ensure the proper channels are followed, and also contrasts with the very Western legal system, which prioritises individual rights over corporate or community rights. Since none of the panellists are lawyers, it was strongly recommended that people seek their own legal advice on these issues. A comment from the audience suggested that the topic requires additional attention and that perhaps some kind of working group could be convened to discuss the issues further. Someone else commented that “a whole conference stream could be devoted to this topic” (see blog entry from Grant Young at Indigenous Digital Excellence). Anyone who would like to pursue this should contact livingarchive@cdu.edu.au to discuss. POSTSCRIPT: Ghil’ad Zuckermann has recently released Engaging – A Guide to Interacting Respectfully and Reciprocally with Aboriginal and Torres Strait Islander People, and their Arts Practices and Intellectual Property – which looks to be a useful contribution to this discussion. This entry was posted in Activities and tagged copyright, permission, Puliima on November 3, 2015 by Cathy Bow. Project manager Cathy Bow reports on a great conference in Melbourne this month. The fifth biennial Puliima National Indigenous Language & Technology Forum was held in Melbourne last week. This is an amazing opportunity to bring together interested practitioners from around the country to share ideas and tools, projects and encouragement. The forum has a very relaxed feel, with opportunities to ‘show and tell’ about interesting projects and make connections with people across this close-knit but welcoming community. There were over 230 people attending from around Australia and some visitors from overseas. The plenary sessions took us around the world – from documenting important musical traditions on the Tiwi Islands, to New Mexico USA, where the Santa Fe Indian School is developing programs for students to learn their languages under Indigenous authority, to New Zealand where an Indigenous model of curriculum has been developed for Māori students. There were other opportunities to hear about a range of apps and programs being produced in different language centres and community organisations all around Australia, as well as what’s happening at state and national libraries, and within Universities. I had the privilege of being involved in two presentations during the forum. The first involved a panel discussion entitled “An open and shut case? Protecting rights and promoting access to Indigenous language materials“ – I’ll post about that next week. The other was presented in conjunction with Michael Roseth from italk library demonstrating their suite of resources in a number of Indigenous languages and how you can add your own langua ge to these high quality videos and stories about contemporary issues. 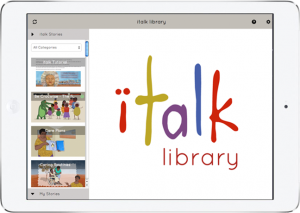 We also showed how you can use the italk library iPad app with books from the Living Archive to create talking books – it’s super easy to add audio and do translation on the fly. Thanks to Millika from Wurrumiyanga who added some Tiwi audio to a book as a demonstration. 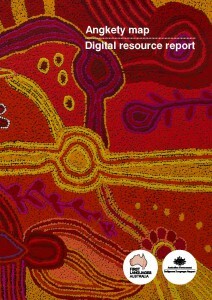 It was also lovely to see the fantastic new resources published by First Languages Australia – particularly the Angkety map Digital resource report (which features the Living Archive on page 18) and Warra: Building teams, building resources (we’re on p77 of that one). Plus they also launched the excellent Gambay: Australia’s first languages map which includes lots of information behind the scenes, and can be edited by users. Good to see high quality and informative publications that will really help people working in this field. I was especially pleased to see a a number of attendees at the forum from the Northern Territory, including people from Wadeye, Tennant Creek, Ngukurr, Harts Range, Bathurst Island, Maningrida and Groote Eylandt, as well as Darwin, Batchelor and Alice Springs. In many of these locations languages are still being spoken, so the issues are different from some other places where there are only documents and recordings left. Every situation is quite different, so it was encouraging to see people recognise that they were not the only ones facing some of these challenges, and ideas and encouragement could be shared with people from different perspectives. The second ‘Australia’s Got Language‘ competition was held on the Wednesday evening, and showcased some incredible talent, as different performers sang in their traditional languages, or performed comedy or told stories. Thanks to Daryn and the Puliima team for making everything run so smoothly, and to the sponsors for supporting such an important event. Check out their Facebook page for photos and more information. This entry was posted in Activities and tagged conference, Puliima, technology on October 23, 2015 by Cathy Bow.